A perfect keepsake to give as a wedding, anniversary or engagement gift. MR ‘Hearts’ MRS spelt out in pastel miniature alphabet blocks, pressed in gorgeous silver letters and mounted in a white frame. You can also add a silver engraved plaque with their wedding date, anniversary date or personal message. 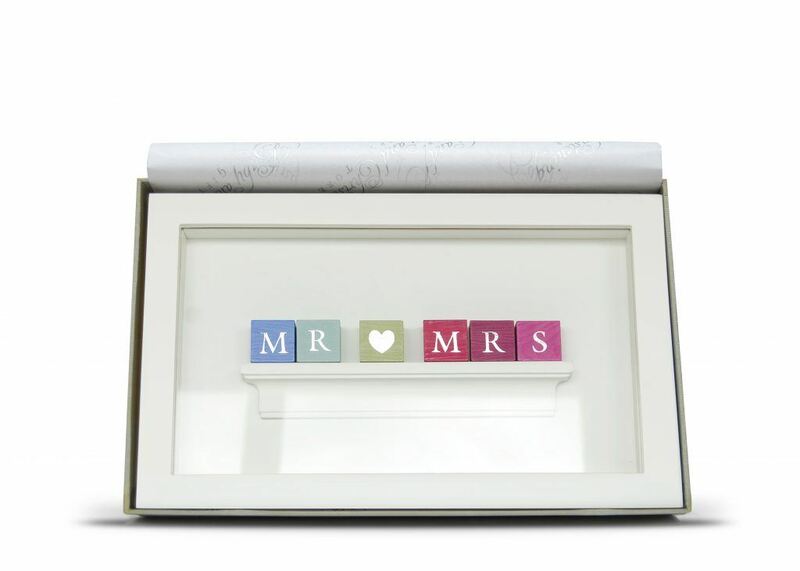 Your Mr & Mrs frame will arrive wrapped in tissue and in a beautiful gift box.